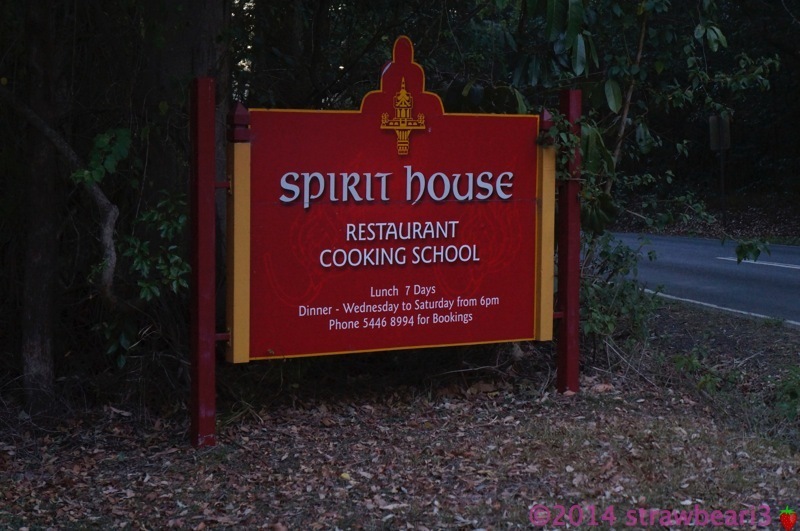 The Spirit House in Sunshine Coast is not only famous for its cooking school, but also the restaurant itself. 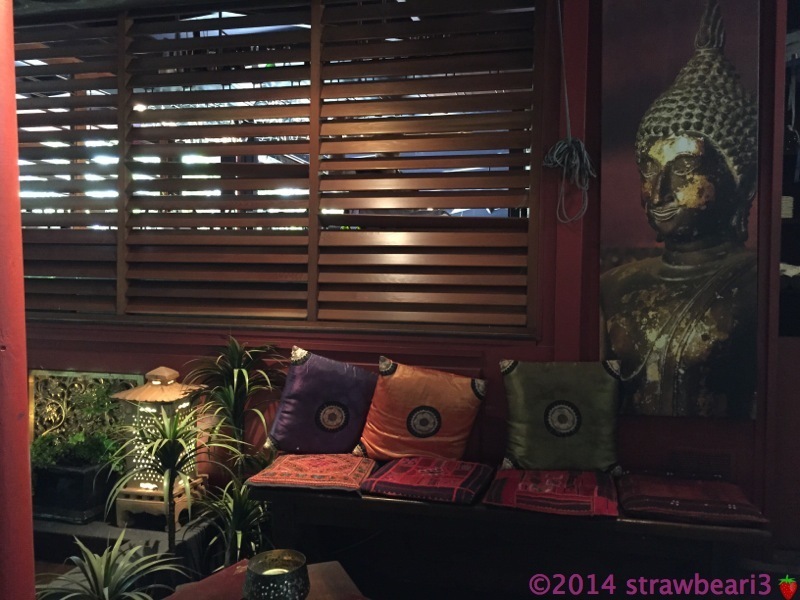 The restaurant was awarded One Hat from the Brisbane Times Good Food Guide. We went there to celebrate our wedding anniversary for the past two years and are now considering making it a tradition to do it as an annual thing. It is located in Yandina, Sunshine Coast and is about 1 ½ hours drive from Brisbane. 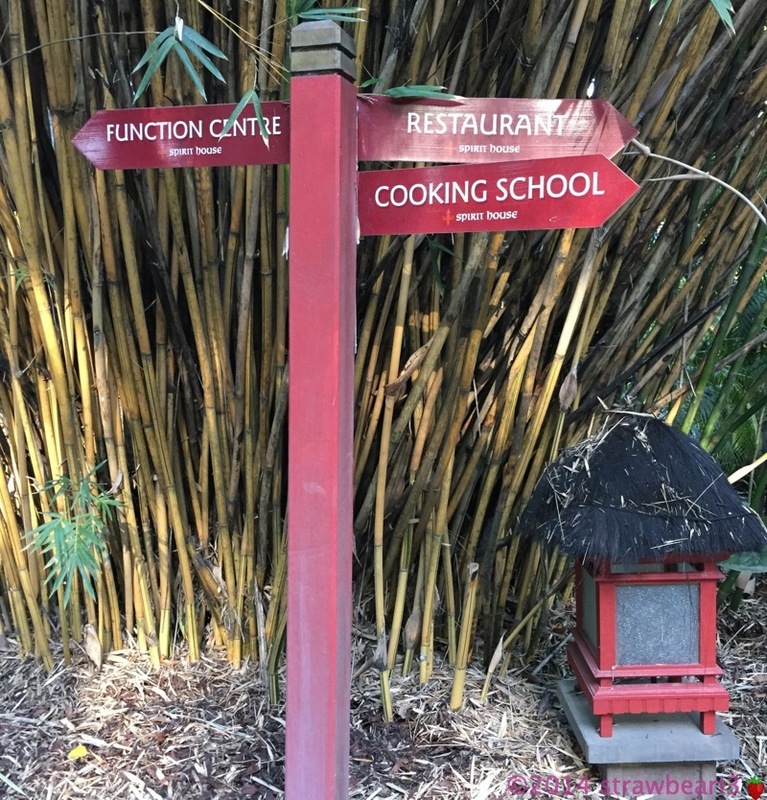 The restaurant has a very natural setting surrounded by a tropical garden, a pond and some ‘friendly’ water dragons lurking around. 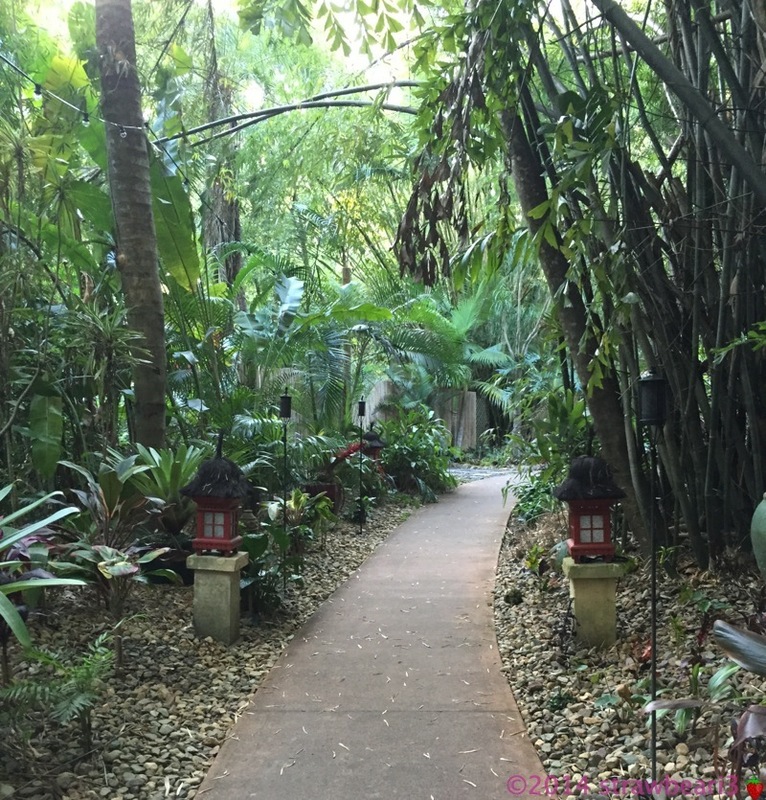 The sounds of wind chime, water and rainforest music added to the peaceful and romantic atmosphere. This year we decided to make it a day trip and headed there for lunch. It was full when we arrived and thankfully we had a reservation and didn’t have to wait long for our table to be set up. The waiters were very friendly and carefully went through the menu with us. Since we have been there before, we had a good idea what we liked which made the ordering decision fairly easy. For starters we ordered Crispy Pork Belly with Citrus Caramel Sauce ($14), Seared Banana Prawns with Black Bean Sauce and Crispy Masterstock Bacon ($18) and Coconut Soup of Salmon with Lemongrass and Chilli Oil ($14). 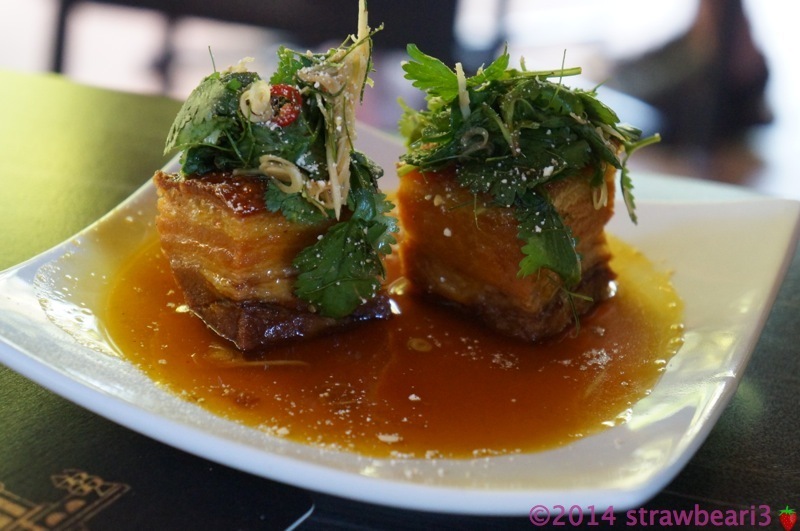 The crispy pork belly had a perfect combination of flavours. The coriander salad on top was very refreshing and perfectly cut through the richness of the pork and sweetness of the sauce. The seared banana prawns were my favourite. I was initially skeptical with black bean sauce being overly salty but this one had a taste of sweetness that I really enjoyed. 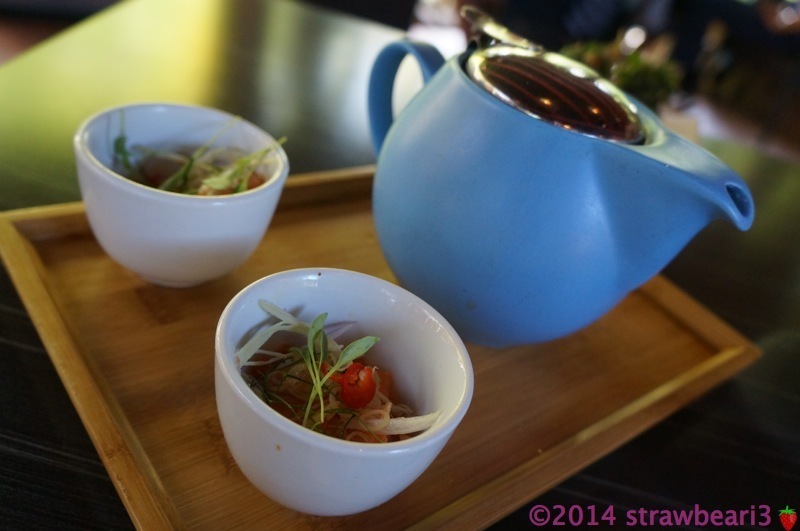 The coconut soup came in a teapot with two small cups of raw salmon, lemongrass and chilli oil. The idea behind was to pour the hot soup into the cup to cook the salmon and drink it. There was enough soup for 3 cups each, so I suggest not finishing all the salmon and lemongrass on your first round like we did. We ended up drinking just the coconut soup alone that was tasty but it got a bit too rich in the end without the other components. For the main meal we couldn’t go pass the Whole Crispy Fish with Tamarind Chilli Sauce ($53). We had the same dish last year and it left a lasting memory. 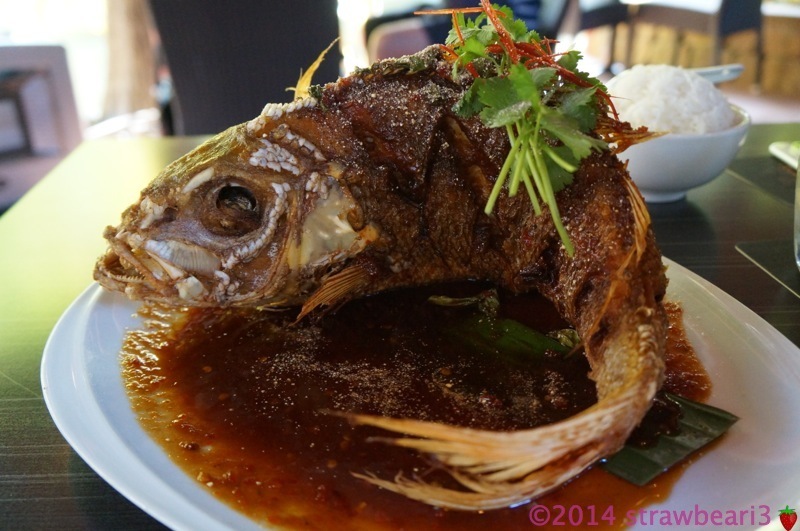 It was a deep fried snapper of about 800g to 1kg with a sweet, sour and spicy sauce. 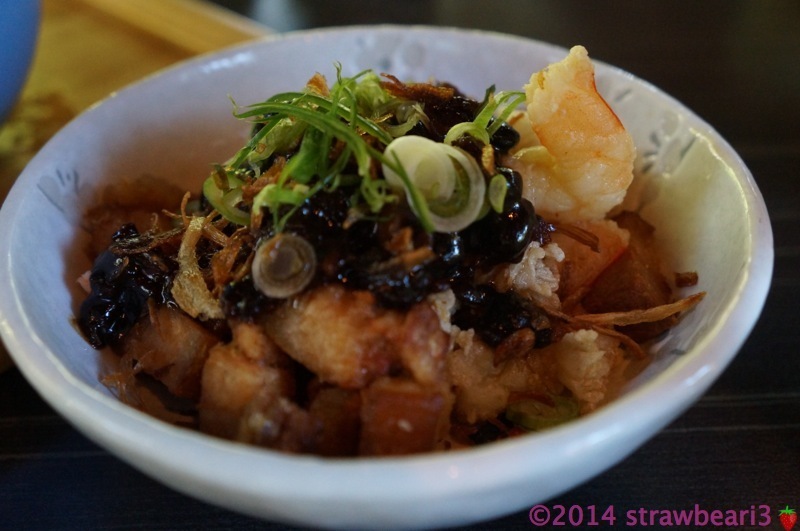 The freshness of the crispy fish and the well-balanced sauce left us wanting more. This is one of their specialties as we noticed every other table around us ordered it too. 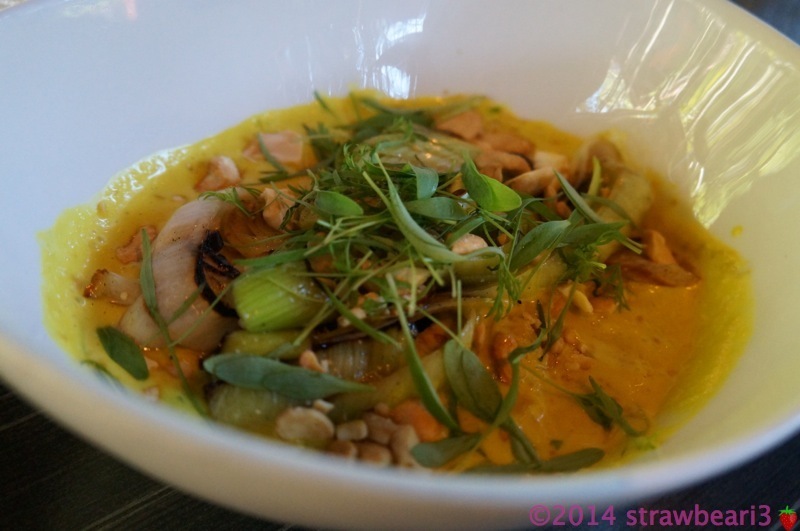 We also ordered the Tumeric, Honey, Coconut Lon with Roasted Leeks and Cashews ($16) to compliment the fish. It seemed like an ordinary yellow leek and cashew curry but the flavour was quite nice. We were really full at this stage, but we couldn’t miss out on dessert. Therefore, we ordered the Kaffir Lime and White Chocolate Terrine with Coconut Cake and Licorice Ice Cream ($16) to share. The taste of the kaffir lime was quite subtle and not overpowering. 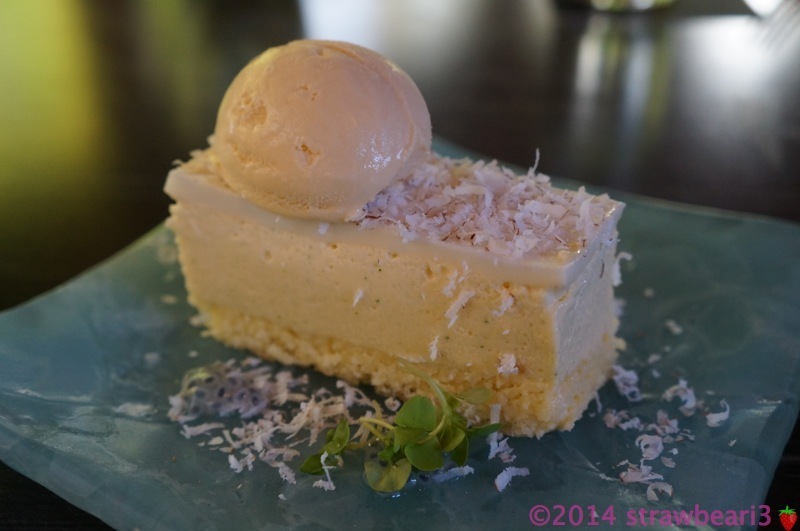 The top layer was like a slightly salted coconut layer that cuts through the sweetness of the rest of the dish. It was definitely the best way to finish the meal.